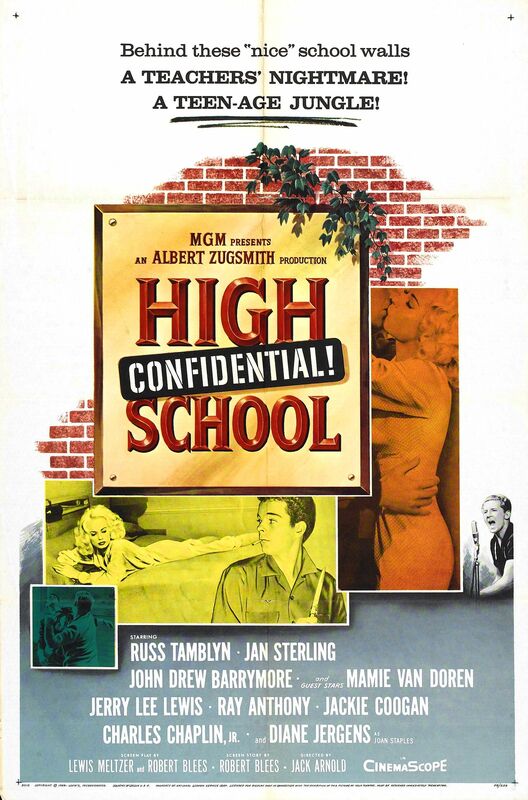 Tough Tony Baker (Russ Tamblyn) arrives at a new high school and immediately tries to edge in on the drug scene — much to the consternation of his concerned teacher (Jan Sterling). Yes, as a cult movie. Discussed at length in Peary’s Cult Movies 2 (1983).